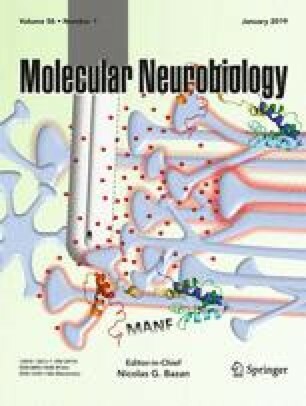 Targeting CB1 and GPR55 Endocannabinoid Receptors as a Potential Neuroprotective Approach for Parkinson’s Disease. “Cannabinoid CB1 receptors (CB1R) and the GPR55 receptor are expressed in striatum and are potential targets in the therapy of Parkinson’s disease (PD), one of the most prevalent neurodegenerative diseases in developed countries. The aim of this paper was to address the potential of ligands acting on those receptors to prevent the action of a neurotoxic agent, MPP+, that specifically affects neurons of the substantia nigra due to uptake via the dopamine DAT transporter. Some Prospective Alternatives for Treating Pain: The Endocannabinoid System and Its Putative Receptors GPR18 and GPR55. “Marijuana extracts (cannabinoids) have been used for several millennia for pain treatment. Regarding the site of action, cannabinoids are highly promiscuous molecules, but only two cannabinoid receptors (CB1 and CB2) have been deeply studied and classified. Thus, therapeutic actions, side effects and pharmacological targets for cannabinoids have been explained based on the pharmacology of cannabinoid CB1/CB2 receptors. However, the accumulation of confusing and sometimes contradictory results suggests the existence of other cannabinoid receptors. Different orphan proteins (e.g., GPR18, GPR55, GPR119, etc.) have been proposed as putative cannabinoid receptors. According to their expression, GPR18 and GPR55 could be involved in sensory transmission and pain integration. This work summarized novel data supporting that, besides cannabinoid CB1 and CB2receptors, GPR18 and GPR55 may be useful for pain treatment. Anti-neuroinflammatory effects of GPR55 antagonists in LPS-activated primary microglial cells. “Neuroinflammation plays a vital role in Alzheimer’s disease and other neurodegenerative conditions. The orphan G-protein-coupled receptor 55 (GPR55) has been reported to modulate inflammation and is expressed in immune cells such as monocytes and microglia. Activation of GPR55 induces neuroprotection of hippocampal neurogenesis and immune responses of neural stem cells following chronic, systemic inflammation. “New neurons are continuously produced by neural stem cells (NSCs) within the adult hippocampus. Numerous diseases, including major depressive disorder and HIV-1 associated neurocognitive disorder, are associated with decreased rates of adult neurogenesis. A hallmark of these conditions is a chronic release of neuroinflammatory mediators by activated resident glia. Recent studies have shown a neuroprotective role on NSCs of cannabinoid receptor activation. Yet, little is known about the effects of GPR55, a candidate cannabinoid receptor, activation on reductions of neurogenesis in response to inflammatory insult. In the present study, we examined NSCs exposed to IL-1β in vitro to assess inflammation-caused effects on NSC differentiation and the ability of GPR55 agonists to attenuate NSC injury. “The life expectancy for pancreatic cancer patients has seen no substantial changes in the last 40 years as very few and mostly just palliative treatments are available. As the five years survival rate remains around 5%, the identification of novel pharmacological targets and development of new therapeutic strategies are urgently needed. 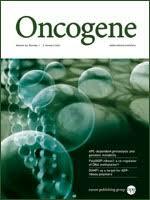 Here we demonstrate that inhibition of the G protein-coupled receptor GPR55, using genetic and pharmacological approaches, reduces pancreatic cancer cell growth in vitro and in vivo and we propose that this may represent a novel strategy to inhibit pancreatic ductal adenocarcinoma (PDAC) progression. Specifically, we show that genetic ablation of Gpr55 in the KRASWT/G12D/TP53WT/R172H/Pdx1-Cre+/+ (KPC) mouse model of PDAC significantly prolonged survival. Importantly, KPC mice treated with a combination of the GPR55 antagonist Cannabidiol (CBD) and gemcitabine (GEM, one of the most used drugs to treat PDAC), survived nearly three times longer compared to mice treated with vehicle or GEM alone. Mechanistically, knockdown or pharmacologic inhibition of GPR55 reduced anchorage-dependent and independent growth, cell cycle progression, activation of mitogen-activated protein kinase (MAPK) signalling and protein levels of ribonucleotide reductases in PDAC cells. Consistent with this, genetic ablation of Gpr55 reduced proliferation of tumour cells, MAPK signalling and ribonucleotide reductase M1 levels in KPC mice. Combination of CBD and GEM inhibited tumour cell proliferation in KPC mice and it opposed mechanisms involved in development of resistance to GEM in vitro and in vivo. Finally, we demonstrate that the tumour suppressor p53 regulates GPR55 protein expression through modulation of the microRNA miR34b-3p. Chronic treatment with the phytocannabinoid Cannabidivarin (CBDV) rescues behavioural alterations and brain atrophy in a mouse model of Rett syndrome. “Rett syndrome (RTT) is a rare neurodevelopmental disorder, characterized by severe behavioural and physiological symptoms. RTT is caused by mutations in the MECP2 gene in about 95% of cases and to date no cure is available. The endocannabinoid system modulates several physiological processes and behavioural responses that are impaired in RTT and its deregulation has been associated with neuropsychiatric disorders which have symptoms in common with RTT. The present study evaluated the potential therapeutic efficacy for RTT of cannabidivarin (CBDV), a non-psychotropic phytocannabinoid from Cannabis sativa that presents antagonistic properties on the G protein-coupled receptor 55 (GPR55), the most recently identified cannabinoid receptor. Present results demonstrate that systemic treatment with CBDV (2, 20, 100 mg/Kg ip for 14 days) rescues behavioural and brain alterations in MeCP2-308 male mice, a validated RTT model. The CBDV treatment restored the compromised general health status, the sociability and the brain weight in RTT mice. A partial restoration of motor coordination was also observed. Moreover, increased levels of GPR55 were found in RTT mouse hippocampus, suggesting this G protein-coupled receptor as new potential target for the treatment of this disorder. “The cannabinoid system exerts functional regulation of neural stem cell (NSC) proliferation and adult neurogenesis, yet not all effects of cannabinoid-like compounds seen can be attributed to the cannabinoid 1 receptor (CB1 R) or cannabinoid 2 receptor (CB2 R). The recently de-orphaned GPR55 has been shown to be activated by numerous cannabinoid ligands suggesting that GPR55 is a third cannabinoid receptor. Here we examined the role of GPR55 activation in NSC proliferation and early adult neurogenesis.